Valuable content is but one part of the formula for a successful inbound marketing strategy. Equally important is knowing if the content you’re providing generates an appreciable ROI. Curata’s 2016 content marketing industry survey found that 75% of marketers are increasing their content marketing investment. Yet, the same survey found that over a third of marketers never complete a content analysis that lets them know if their strategy is performing. This is surprising, given the fact that there are now hundreds of content analysis tools available to them to do just that. Understand the content they have, and the content they still need. 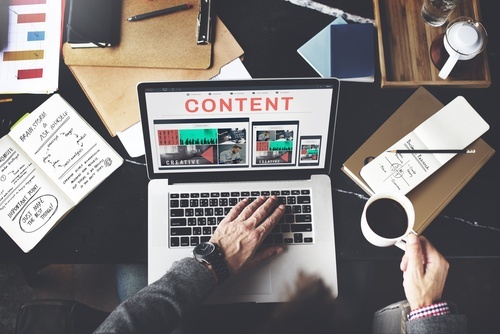 Prevent creating content that hasn’t worked in the past. Identify outdated or irrelevant content. Determine which content can be repurposed. Improve the overall quality of existing content. There’s a tool for every purpose: some help create content, others help distribute it, while some measure the effectiveness of a brand’s content marketing. With so many to choose from, it can be difficult to know where to start. Most people are familiar with the big guns like HubSpot, which analyzes visits, leads, submissions, clicks, and much more to measure ROI; and Google Analytics, which offers valuable insights into who is visiting your site, how they got there, and what they’re doing after they arrive. We’ve curated some of the best content analysis tools recommended by top content marketing pros that you may not be as familiar with. Many of them are multi-taskers, but all the ones listed here offer some form of content analysis. Quantcast reveals unique audience insights and helps brands acquire new audiences through analyzing people’s online behavior. Alexa helps increase your own website traffic by studying the statistics of your competitors. Webtrends offers A/B and multivariate testing that helps you measure and optimize digital campaigns. Mixpanel measures actions such as searches and shares to understand a user’s journey on mobile and web. Parse.ly is a predictive analytic tool that tracks the performance of authors or topics, making it easy to understand and improve digital audience engagement. Socialbakers helps maximize the potential of social media by measuring metrics and statistics for all major social media platforms and then making recommendations based on predictive intelligence. Visible offers monitoring, analytics, and engagement in a single, intuitive social media management platform. Trendspottr uses predictive intelligence to discover emerging trends, viral content, and key influences on just about any topic. SumAll provides a complete look at how online initiatives are performing and measures your social channels, website, and eCommerce. Cafyne helps you engage with influencers to reach their audience and quantify the impact of your own influencer marketing campaigns. BrightEdge helps you discover what customers want by measuring and improving website SEO. MarketMuse uses artificial intelligence to help create and optimize topically-relevant content by finding prominent keywords. This SEO software also measures how you stack up against the competition. Content Insight is a content analysis tool that offers ways to create comprehensive, usable content inventories via a user-friendly interface. Blaze Content helps you map a content strategy, keeping your business goals and customer experiences on the right path. Beegit is about removing internal barriers so that organizations can create, edit and approve team-based web content. Brightpod is a web-based project management tool that takes the chaos out of managing digital marketing campaigns. Kuia creates interactive calculators that help you better understand website visitors. It also creates interactive assessments, quizzes, and visualizations that get you more qualified leads. Zembula is an interactive content platform optimized for customer acquisition. It enables you to build and implement interactive content across multiple channels and measure the success of each campaign. No inbound marketing strategy can achieve its desired effects unless it’s consistently monitored and analyzed. Using real metrics based on real user experiences helps to create content that speaks to your target audiences and guides them through the sales funnel, ultimately transforming them into loyal customers. These content analysis tools are a good first step in helping all your content marketing campaigns succeed. To learn more about implementing a digital content strategy, read our white paper titled, "What is a Digital Content Strategy? Any Why You Need One!"